This month–amongst the lack of schedule and routine that is knowns as “summer”–we’ve been struggling with this little thing called “bedtime”. I don’t know if you’ve heard of it, because apparently my children have NOT. Bedtime is supposed to be this magical time of the night where children go into their rooms and nod off so their parents can get an hour or two ALONE so they can muster up the courage to face another day in the morning. Someone forgot to tell my kids about the whole “stay in your bed and sleep” part of bedtime, though, and recently we’ve had a few eventful nights as a result. A few weeks ago on my birthday, for instance, Jon and I were sitting on the couch in our living room watching a movie after “bedtime” when we heard a knock on our door. “Strange,” we thought, “Who would be coming to our house at 9:00 on a Wednesday night?” Turns out it was a Good Samaritan neighbor who had been walking his dog when saw two NAKED boys playing in our pitch-black front yard. The boys claimed that they came from a zoo, but Good Sam could see right through their ruse and thought it best to try and locate some parental figures. Turns out it was our children, who had sneaked out the back door, removed a loose board in our fence, walked through the neighbors yard to the sidewalk, and eventually found their way to our front yard. As for the nakednes of said children, I can’t even fathom. After getting the fence repaired we had some peace of mind about the boys’ late-night wanderings–even though they still managed to break out of the back door several times before I caught on to the idea of setting booby traps (an ironing board leaned against the inside of the door that makes a disruptive crashing noise when the door is opened has proved quite effective.). Now that the boys are relatively contained to the interior of our house, however, we’re still facing the fact that they will. Not. SLEEP. Then there was the night that I went in to check on them before I went to bed and they were sleeping peacefully in their closet. On the upper shelves of their closet, that is (Don’t worry, they’d brought their pillows and blankets up there with them. They actually looked quite cozy.). Around midnight I was awoken by the shaking of my bed–at first I thought it was an earthquake so I sat bolt upright and, in a daze, took in my surroundings. Turns out it was even worse than an earthquake: the children were still awake (and bouncing on my bed, naked of course.). When I brought them back to their room I surveyed the damage: An entire box of Pull-Ups (that we’d bought at Costco that morning) was strewn about the room (we’re talking, Pull-Ups hanging from the fan and used as mattress stuffing); every article of clothing they own was piled into Mount Wardrobe in the center of the room; the drawer pulls had all been pulled off of their dresser drawers and thrown in miscellaneous places (including, but not limited to: the windowsill, under the dresser, inside socks, and inside the diaper pail); an entire box of TEN THOUSAND MILLION toothpicks were scattered about the floor; and several empty food boxes littered the landscape. It was Armageddon. The next morning we spent HOURS cleaning up The Mess…and then we moved on with our lives. Because, really, in the scheme of things bedtime disasters are just a drop in the bucket. By dinnertime both boys were begging me to go to bed–it turns out pulling all-nighters is not for the faint of heart. Or for toddlers. So here’s the big takeaway: If you are a new parent with a baby who keeps you up all night, just know that it won’t get better for a long, looooooong time…If you are a veteran parent who struggles with your own children–be it bedtime or convincing them to wear clothing in public or whatever their particular “poison” is–know that you are NOT ever alone…and if you don’t have young children at home: help us! Every one of us parents-in-the-trenches needs you! Power on, parents, power on. And get some sleep, now, will you? Seeing as it will be Father’s Day on Sunday, I thought it would be fitting to write a post for all of the fathers out there. The thing is, though, I’m not a dad. Nor will I ever be. So, I decided to seek out an expert source to help with this one. Lucky for you, dear reader, I managed to secure The World’s BEST Father (that’s his official title) for an exclusive Father’s Day interview. With over 32 years of fathering experience, he has enough wisdom to fill entire internet blogs (but for the sake of brevity, we’ll keep this to one post for now). He has survived raising not one, not two, but THREE daughters into adulthood (including a *charming* oldest child and twins, who all happened to be teenagers in overlapping years. Can you imagine the drama he’s witnessed?). He is, in short, a saint. He is also my father. We Love Teach Grow: Hi, Dad! Are you ready to spill the beans on what it’s like to be The World’s Best Dad? 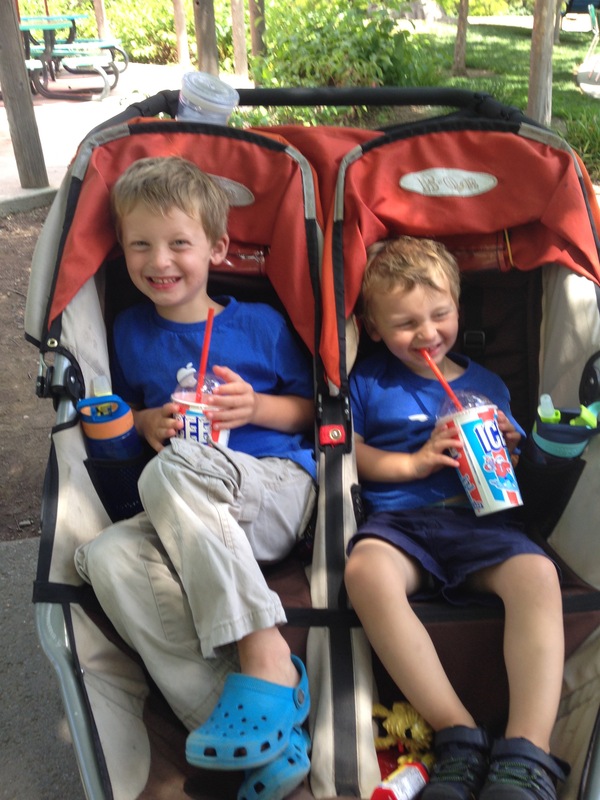 WLTG: Seriously, Dad, what is the best part of being a father? Dad: Honestly, just having your kids tell you that they love you! WLTG: Awww…I love you, Dad! See, this is why you’re The World’s Best Dad! I’m obviously not a dad, but I have a husband who’s a dad and loads of friends who are dads. What is some advice you would give to other dads who are just starting out with this whole fatherhood gig? Dad: There will be times…lots of times…where it feels like the weight of the world is on your shoulders. You brought this new person into the world, and now you have to provide for it…it’s a huge burden to carry. I realize now–and I wish I would have realized earlier–that it’s not my burden to carry alone. First, marry a wife who will be a great mother. And then, when you have children, lean on God. The Bible says that God will “never leave you nor forsake you”, and that goes for parents, too! When you feel the heaviness of parenting weighing you down, lean on God and He will help you. That, and just love your kids. WLTG: I feel like I need that reminder all the time! What else would you advise fathers, maybe as their children get older? Dad: You only have your children for a short while. Parenting is essentially a process of letting go, little by little. It starts when they are babies and they begin to crawl and walk and explore on their own, then you realize they are their own person, and you have to let go a little. Then your kids are in elementary school and they want to go to their friend’s house for their first sleepover, and you have to let go a little bit more. And then they’re teenagers and they want to DRIVE, and you have to let go a lot. And then they start college and get married, and you just have to keep letting go. In the end, you realize that they belong to God, not you, and you have been entrusted with them for a time. As you’re letting go, remember that they still belong to God, and He still has them. WLTG: I can’t even talk about driving or college… Moving on. You raised three daughters and, I have to say, they all turned out GREAT. What tips do you have specifically for fathers of girls? Dad: I’ll say this again: Just love them. Watch their ballet recitals. Learn how to make a ponytail or “princess hair”. Embrace the color pink in your life. Just love them. Another thing I would suggest is to “date” your daughters. There is something so special about building that bond with your child and creating memories together. (*Every year my dad takes each of his daughters out on a birthday date. We’ve been “dating” for nearly 30 years now, and none of us have never missed a birthday date in all that time–even when living in different states and countries! Now as an adult, our daddy-daughter dates are some of my favorite childhood memories–and something that I still look forward to every year.). 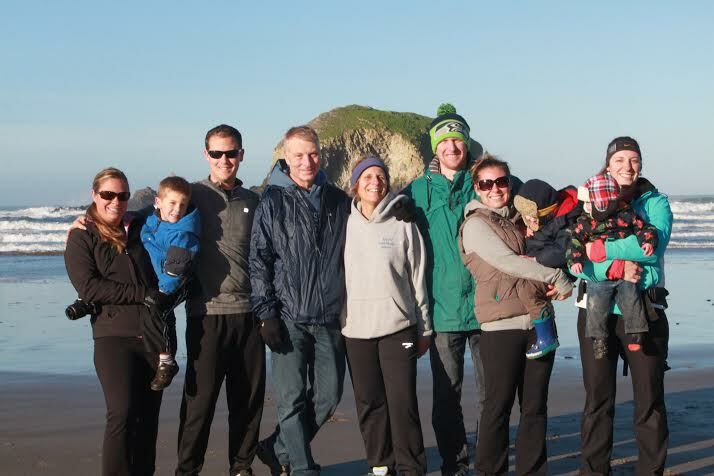 WLTG: Speaking of memories, what are some suggestions you have for building memories and traditions with your family? Dad: Blow some dough! I made a decision before I even became a father that I would make sacrifices in order to make memories. For our family, that meant spending some money doing some outrageously fun things together. We spent our winters skiing together. We took road trips to National Parks. We traveled to Europe and ate gelato until our tummies hurt. It cost a lot in terms of time and money, but I’ve never regretted a penny or a moment we spent together. Dad: Be there…like, physically be there. If your kid has a recital or a sporting event or a teacher conference, make room in your schedule and be there. Years down the road your kid may not remember how well they danced at that recital or the score of that track meet, but they’ll remember who was in the stands watching them. Be there. Also, model for your children what a good parent should look like. I am the father I am today because my parents showed me how to be a parent. They supported me, they respected me, they loved me. Parents need to be the kinds of parents that they hope their kids will grow up to be some day. And, remember: just love your kids. 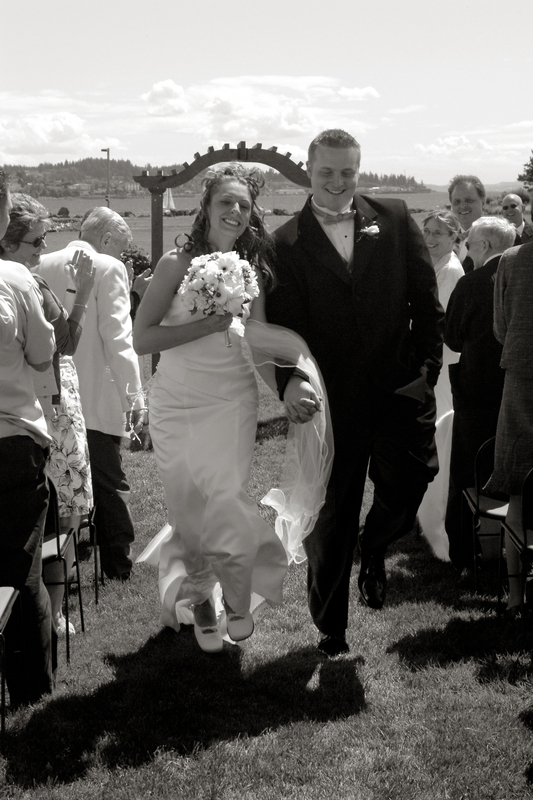 We’ve been celebrating for the better part of a month now, but today is the actual day: our tenth wedding anniversary. TEN YEARS. Holy moly, how did that happen? I swear, just yesterday we were mere babies (seriously, at 22 years old we WERE mere babies) walking down the aisle and swearing our forever love for each other before God and everyone. Then I blinked, we had two babies of our own, we moved NINE TIMES, and here we are today: ten years older and wiser. These past 10 years have been a roller coaster of ups and downs and exciting twists and turns that we never anticipated in our wildest dreams. They’ve been wonderful years, and I wouldn’t trade them for anything. Yet, as I look back at our 10 years of marriage, I realize that the roller coaster has also been full of learning. 1. Pray together every day. I received a simple piece of advice at my bridal shower, and it stuck: Pray together every day. We took this counsel to heart, and we have never missed a day praying together–even if we’re tired, or cranky with each other, or the kids drove us bonkers that evening, or whatever–we always end our day in prayer together. For 3,650 days in a row, we have come together in prayer. And you know what? It’s done wonders for our marriage. Some of our biggest decisions and greatest joys have come as a direct result of our daily prayer time. Simple, yes, but profound. 2. Set your priorities: Jesus, spouse, family, everything else. Here’s the thing: life is BUSY. And the longer you’re married, the busier it seems to get. It helps, then, to set your priorities straight from the beginning. Number one has to be Jesus–this is the firm foundation upon which your marriage can be built and stand the test of time. There is nothing–NOTHING–that a marriage can not overcome as long as Jesus remains at the center. After Jesus comes your spouse. This is the one person in the world who you have committed your entire self to, and that takes an extreme amount of sacrifice. This means that you support your spouse, you stand up for your spouse, you love your spouse, you choose your spouse–even when you don’t want to. They are yours forever–cherish them! Next comes your family. Notice that “family” comes after “spouse”. Kids are wonderful, important, life-changing additions to a marriage. But they are not THE marriage. In a flash, your kids will grow up and move out and begin independent lives. And you will be left with–you guessed it–your spouse! Even though children are seemingly all-consuming (of your time, your energy, your money, your food, your sanity) they must take second seat to your spouse. Nurture your children, but never neglect your spouse at their expense. Finally comes everything else: your job, your hobbies, your (dis)comfort with noise/mess/obnoxious eating habits. ‘Nuf said. Without a doubt, this has been the greatest lesson I’ve learned in our marriage. So much confusion, hurt, and anger could have been avoided if we’d simply been honest with each other. This goes from the trivial (Saying “I don’t care” when he asks you what movie you want to watch tonight…even though you’re hoping he remembers that you already mentioned 4 days ago that you’d love to see that new Bradley Cooper movie…) to the über-serious (your baggage from your past, your finances, your fears and dreams). In marriage as in life, honesty is the best policy. Oh, what a drag marriage would be if you weren’t having any fun! On a scale of 1 – awesome, I’d rate our marriage as EXTREMELY awesome. We try to find fun in the mundane (like when we crank up the music and have a dance party as we clean the house). We laugh together. We go fun places together. We look for opportunities to sneak in fun where it really doesn’t belong. After all, life is a lot more enjoyable if you’re…well…enjoying it! 5. Don’t always win the argument. Truth: Jon and I don’t always agree on everything (probably because I’m pretty much always right). In the end, though, it usually doesn’t matter who’s right or wrong (or righter or wronger). Some things are just not worth the battle. Peace in your relationship is worth more than being right (even if you are almost always right). 6. Honor your spouse’s differences. This is one that I keep re-learning, pretty much every day. As much as I love him, Jon is NOT me. He thinks differently, behaves differently, has different preferences and aversions. He likes beer, and I like NOT-beer. He could spend every waking moment of his life tinkering with electronics, and I don’t even know the basics of a circuit board. He likes to relax after dinner, and I like to let nobody relax until the dishes are washed and put away. You see? We’re different. We were created different, and we are supposed to be different. I’m working to learn what makes him different so I can let him be him, without trying to make him be me. Bam. Nothing screams love like giving someone their favorite whatever. When you remember someone’s favorites, it shows that you are paying attention to them and that you care about their personal enjoyment. This can take on many different forms: making his favorite breakfast on the weekend, stocking his favorite brand of facial tissue (this is kind of a big deal in our house), tucking his favorite treat into his work bag, buying a few extra pairs of his favorite jeans when they go on sale. Related to this is learning to speak your spouse’s “Love Language”–which may be quite different from your own. 8. Be the kind of souse I want him to be. This definitely falls into the category of “easier said than done”. Seriously, though, it’s crucial. If I want him to be patient, I need to be patient. If I want him to spend his weekends working on x, y, and z around the house, then I need to be willing to help him achieve those goals. If I want him to happily send me off for my mom’s nights out, then I need to let him enjoy those beer bashes after work (without making him feel guilty for abandoning me in my greatest hour of need: dinner time with two cranky children). 9. Carry your weight in the relationship. Imagine a teeter-totter: on one side there is a child, and on the opposite end there is a grown man. No matter how much each of them teeters and totters, that teeter-totter will never find balance. The same is true in a marriage. If one person is doing all of the giving, and the other is doing all of the taking, there will never be balance. You do your share, and help your spouse to be successful in doing their’s. 10. Tell him you love him. Often. So, there you have it: My sage advice from a decade of “I do’s”. I hope that you have found some encouragement in these words, and may God bless your relationships as He has blessed mine! Now excuse me while I go find some cake to shove in my handsome husband’s face. Sure, there are times when No is useful–like when they ask to eat ice cream for dinner or ask if they can draw that really cool picture on their arms…with a Sharpie. Other times No is quite necessary for the health and safety of themselves or those around them–like when they ask if it’s ok to play with Mommy’s (plugged-in) blow dryer in the (full of water) bathtub or if they can “practice flying” off the roof with their friend. Sometimes, though, No is just plain convenient. Like when they ask if they can go for a bike ride but I’m “busy” emptying the dishwasher or when they ask for me to do a puzzle with them but I’m BUSY updating my Facebook status (I may have a friend who does this.). All of the No’s got me to thinking–what would happen if I just said YES? Like, every single time my kids asked me something, I just said yes. And so, an experiment was born: 24 Hours of Yes. I decided to go one whole day where my answer to every suggestion my children made was “Yes.” Not “Later” or “I’m busy” or “I don’t feel like it”, but “Yes”. 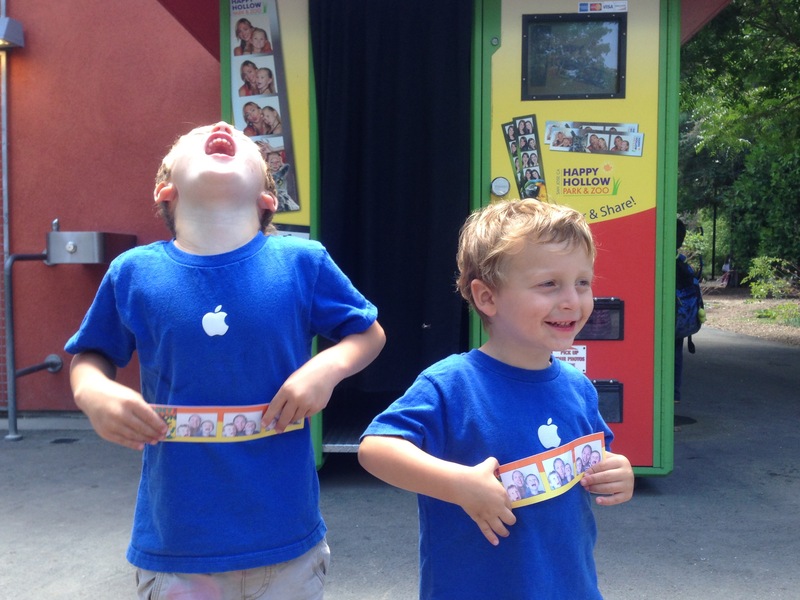 I performed this “experiment” on our first official day of summer vacation (which also happened to coincide with the day Daddy left for a big business trip–not something any of us were looking forward to, so I thought the “summer fun day” would help distract them a bit). I chose this day so that I could guise all of my extra Yeses as a special celebration of our newfound summer freedom (that way they wouldn’t be able to hold me accountable to continue performing in such an agreeable manner for all of eternity). Although I didn’t tell my test subjects children about the experiment, I did set up a few guidelines for myself. First, no requests could directly interfere with stated family rules or cause harm to themselves/another being/property. Secondly, all of my Yeses for my kids meant some No’s for me: no cell phone (Gah! No Facebook! No emoticon texting! No Candy Crush Saga!) and no impatience–today was going to be about my kids, so I wanted to be present for them and lay aside my own plans for the day. Question: What will happen when I only answer Yes to my children for 24 hours? Hypothesis: My children will watch way too much TV and eat way too much junk food. I will go bananas from the lack of control. 7:15 Yes to “Can I watch a show on your phone?” when Jacob sees me check the time on my iPhone before rolling out of bed. 9:00 Yes to watching Daniel Tiger while I clean up from breakfast. 10:08 Yes to spending 15 extra minutes searching the house for a VERY SPECIFIC TOY–even though we already had the car packed and everyone buckled in their seats. 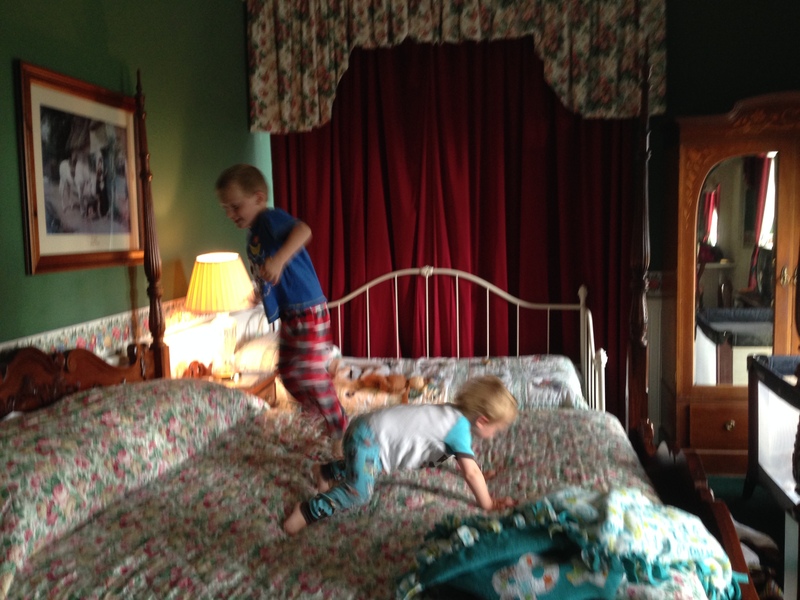 10:15 Yes to jumping on the bed while Mommy crawls on the floor looking for the VERY SPECIFIC TOY. 10:30 Yes to running laps in the driveway (outside the packed-and-ready-to-leave-our-house car), waving the found VERY SPECIFIC TOY in a victory parade. 11:00 Yes to playing on the metal fire truck outside the Happy Hollow entrance gate, even though we’re already an hour past my planned arrival time. 12:00 Yes to the children deciding which attractions we would visit at Happy Hollow, and in which order (This had a pleasant side effect of giving me a great workout while criss-crossing the park all day). 1:00 Yes to riding the rickety roller coaster SIX TIMES in a row. Without getting off. Directly after downing giant red Icees. 1:40 Yes to posing inside the over-priced photo booth. 2:40 Yes to “Mama, will you hold me?” while Big Brother plays on the playground. 3:00 Yes to “Mama, hair down.” (*Jacob is obsessed with my hair and he gets depressed if it’s pulled back in my quintessential “messy bun” for too long). 3:30 Yes to looking around the full-of-temptations gift shop. 4:15 Yes to the request to go home and rest (*This resulted in a secondary request to go back to Happy Hollow–which was not granted due to the fact that it would negate my previous Yes–followed shortly by a colossal temper tantrum in the parking lot). 4:45 Yes to watching a movie with Big Brother while Little Brother took his nap. 6:35 Yes to reading a story before cleaning up from dinner, even though there was food on the counter and dirty dishes on the table. 6:45 Yes to taking my hair down. Again. 7:30 Yes to throwing rocks into the bushes in our backyard. 8:20 Yes to one more story after everyone was already tucked in and ready for sleep. 8:30 Yes to butterfly kisses before they pass out from a (mostly) perfectly wonderful day of Yes. There was an excess of TV watching, junk food eating, story reading, and hair letting-down. There was a deficiency in Mother’s typical overly-controlling behavior. Yes is a good thing, and I need more of it in my life. There are certain requests that are always worth Yes–requests that increase our quality time together, that help us build memories, that help us strengthen our relationship, that validate my childrens’ role as a decision-contributor (most of the time) in our family. It went against my very nature to say so many Yeses, but I recognize the value of that word and I want to say Yes more often. While I’m going to hang on to my Not Now’s and my No’s for when I really need them, I’m going to keep those cards in my back pocket. If there’s a way to say Yes–even at the expense of my own personal comfort or enjoyment–I’m going to take it. Unless, of course, they ask me to ride that dang roller coaster 6 times in a row again.